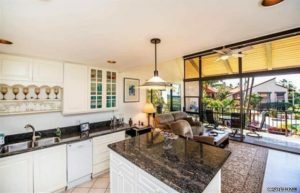 Brought to market just a few days ago, Luana Kai B313 is a coveted 3rd floor unit and offers arguably the most desirable floor plan in all of Luana Kai. As a top floor unit, it offers a 2 story and open layout with a loft space just above the kitchen. The extra high ceilings allow for more wind flow, creates a larger feel for the unit, and brings in plenty of natural light indoors. The unit is also located in one of the most desirable buildings because of its close proximity to the pool, while still offering amazing ocean views. 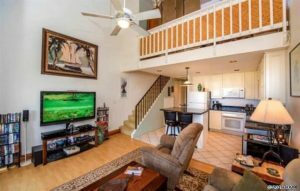 The spacious 100+ sqft lanai just off of the living room acts like a 2nd living area which if perfect for entertaining, relaxing, doing some light reading, or dining. The unit was recently remodeled and includes features like: great tile, upgraded bathrooms, a redone kitchen, and huge walk in storage room. In total, the interior space is just under 1000 sqft with 2 bedrooms and 2 bathrooms. The unit was last listed in the spring of 2018, but didn’t garner much interested before being taken off of the market. At a fresh list price of $698,000, expect strong interest in a unit like this. 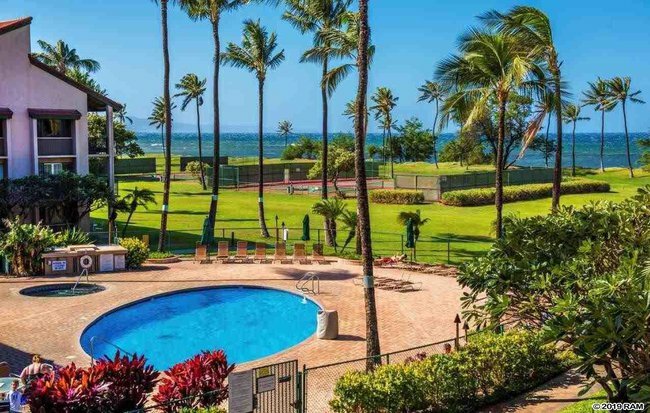 The Luana Kai market had a good year in 2018 with 9 units sold for a total sales volume of $4.88 million, good enough for an average sold price just under $550k and average of 0.75 units sold per month. The year got off to a hot start with 4 units sold in Q1, while the market totally dropped off in Q4 with 0 sales. January, May, and July were produced the best results with 2 units sold in each and represented 66% of sales in these 3 months. Notably, 7 of the 9 units were sold within 2 months of coming to marker, while all 9 were sold in less than 1 year of coming to market. The 2 bedroom units were the most popular among buyers where 6 units were sold; the remaining two units were 1 bedroom units. Sold prices here can vary widely based on things like view, location in the complex, rental income, and the level of upgrades. Obviously the perimeter units facing the ocean are valued the highest because of their ocean view capabilities. On the low end, a buyer can pay as low as $400k and it can come with a variety of upgrades. 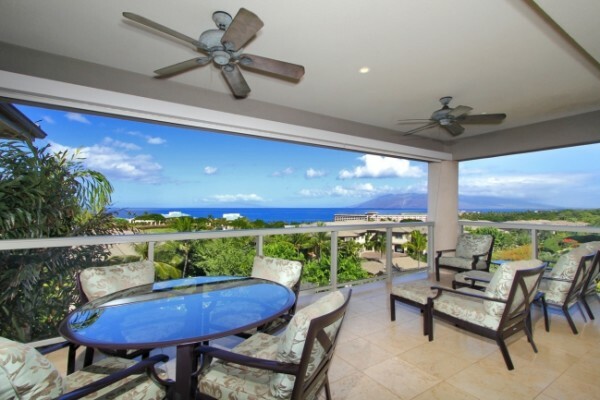 While on the opposite end, another buyer can pay just a little under $900k for a premium unit with upgrades comparable to that of Wailea condos for sale. 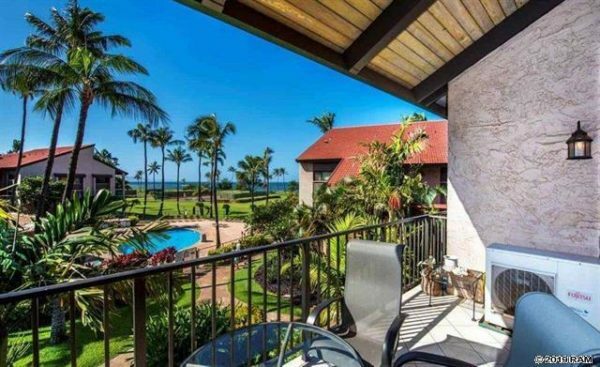 For buyers looking to put a value on Luana Kai, buyers should expect to pay $450-$875 per sqft. If you’d like a deeper dive into the market to do your own research, check out our Luana Kai sold data. Luana Kai currently has 4 units for sale with 75% of them being listed since July 2018. The units are evenly dispersed throughout all of the price ranges, so buyers will be able to get a good idea of the type of units in the complex. Many favor the complex for its beachfront location in Kihei and close proximity to dining options and the grocery store. The community is primarily used as a vacation rental complex with an onsite property management in charge of running and maintaining the common the areas. The make up of Luana Kai tends to be visitors staying in the unit during vacation or owners vacationing during the winter and summer months. Never miss another new listing, by signing up for our Luana Kai new listing alerts.